Last weekend we were all treated to a harrowing storyline which centred around the Doctor and his 50th Anniversary. With a trip down memory lane, not one not two but thirteen Doctors and an introduction by Ron Burgundy himself this was an event to remember. I myself was in a cinema screen loving the 3D effect which the episode was given. Not only did the 3D effect feel justified but it wasn't over used, like everything in this cinematic episode there was just the right amounts of every element. Just enough of Ten(David Tennant) with his incredibly dark speeches that turned into fluffy little jokes, just enough of Eleven(Matt Smith) trying to out cool everyone and just enough of the newly christened War Doctor's(John Hurt) wonderfully cheeky jabs at his older-selve's. Doctor Who has always been known to go out there for it's stories and the 50th was no exception, with paintings which were bigger on the inside to thirteen Time Lords showing everyone what they can do when they are together this episode delivered on the spectacle and then there was that story, a story that deals with what happens when a bright young man goes to war and becomes what he hated, a warrior. The Doctor Who 50th was a fanboy's and fangirl's dream. Fans of young and old were given reminders of why they become fans of Doctor Who. From references to the Brigadier and his legacy to Amy and Rory Pond and. Then there was "Rose", wow. This was an episode that celebrated the wonder of this universe. 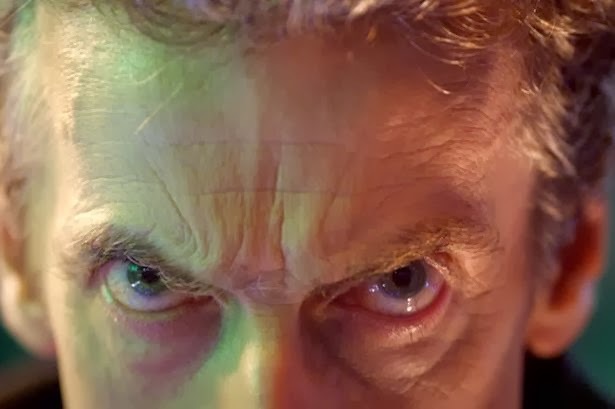 Even if the episode did have a somewhat weak villain(the Zygons were not needed in the episode I would go as far as saying that no villain was needed just focus on the Doctor's past and him finally coming to terms with it). With the Doctor Who 50th Anniversary I decided to get some opinions on it during Eirtakon and there were some wonderful views on the episode, which ranged from who's the best companion to what fans thought was missing from the episode. I hope you enjoy and let us know here at Agents of Geek and Fortress of Geek what you liked or didn't like about the Doctor Who 50th Anniversary. I'd like to thank my camera man Shane Collier for the fantastic work he did, Eirtakon for allowing us access to their guests, panels and the floor and I'd like to thank Erica, Stephen and Antanis who gave us a great Whovian debate.